In the early 1940s, Charles and Ray Eames developed a plywood forming technique and applied their knowledge to a wide range of products from various manufacturers, including the design pair's enclosures for approximately 200,000 radios by 1952. However, there was a radio design that was never produced, as the client considered it too extravagant, not "normal" enough. For example, the design for the compact radio with curved plywood was rejected. In the 50's the general interest in small radios disappeared and so the production of the Eames radios was slowly stopped. More than 70 years later, the forgotten design of Charles and Ray is experiencing a revival through the collaboration of Vitra and the Eames Office: In a limited edition of 999 pieces, the Eames radio is launched on the market with a fine walnut case and the latest technology from REVO to pay due tribute to the design and belief in progress of Charles and Ray Eames. Isolated product image of the Eames Radio by Vitra in walnut / black (limited edition). The Eames Radio was designed by Charles and Ray Eames in the 1940s and is now experiencing its revival in a limited edition of 999 pieces thanks to Vitra. 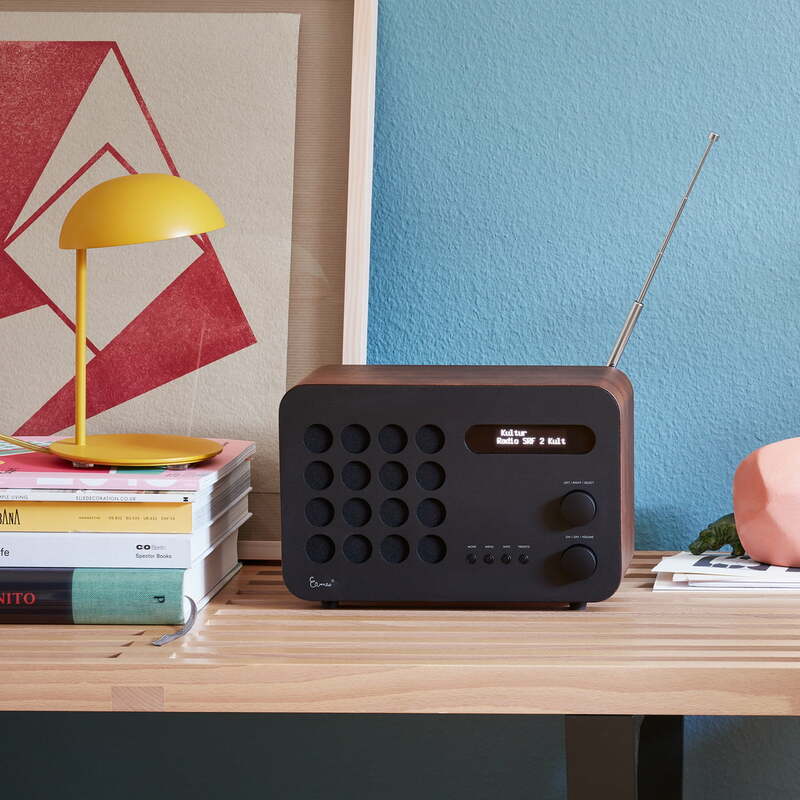 The compact radio has a curved walnut plywood housing. 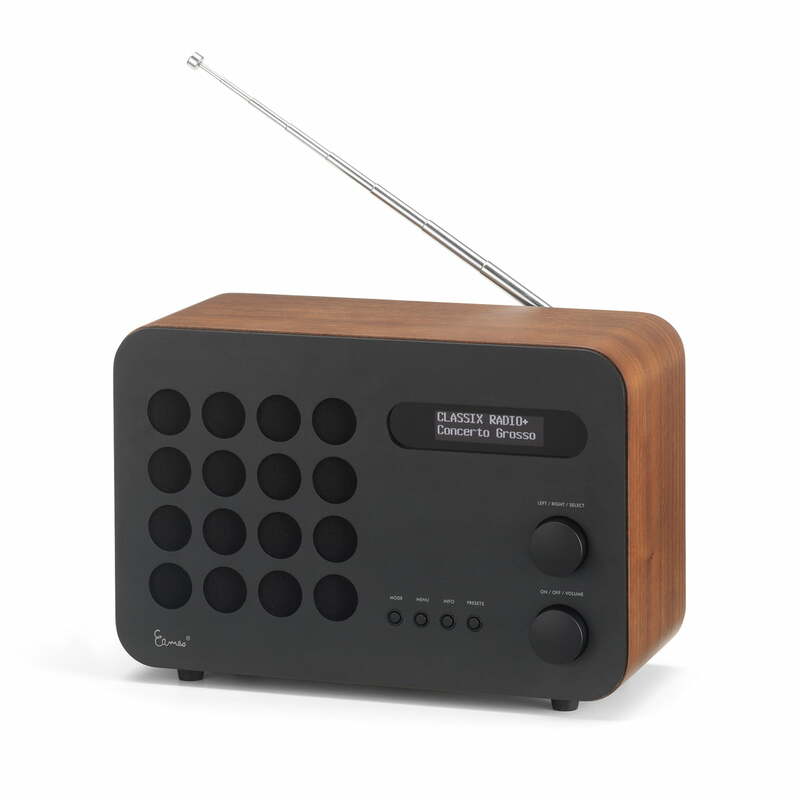 Lifestyle product image of the Eames Radio by Vitra in walnut / black (Limited Edition). 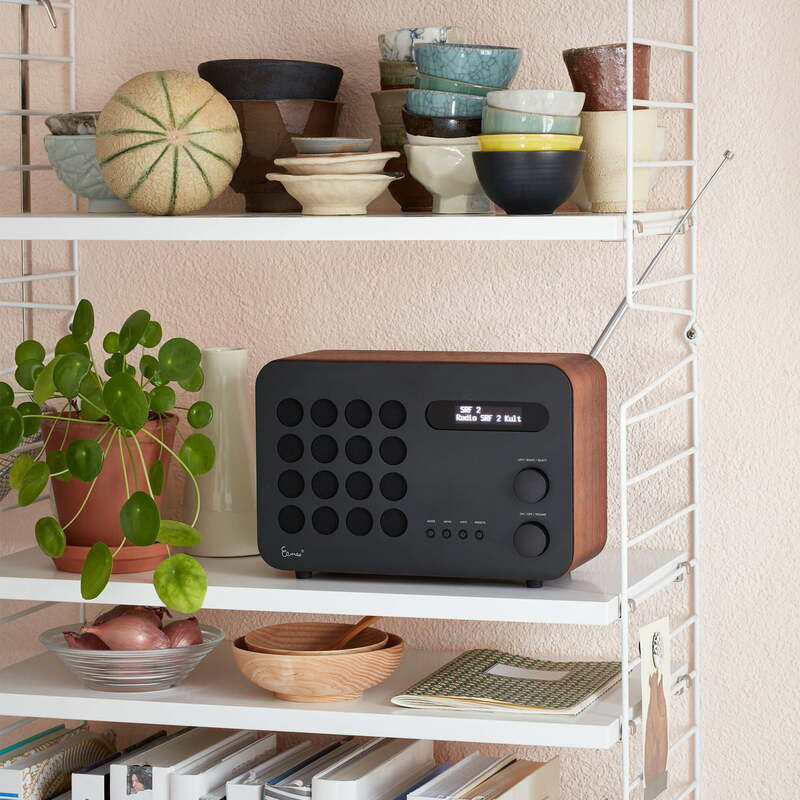 Vitra brings the design of the 40s back to the home with the Eames Radio. Eames Radio by Vitra in Walnut / Black (Limited Edition) by Vitra. The design has lost none of its charm to this day and also blends into modern furnishings. Eames Radio by Vitra in Walnut / Black (Limited Edition) on the Desk. 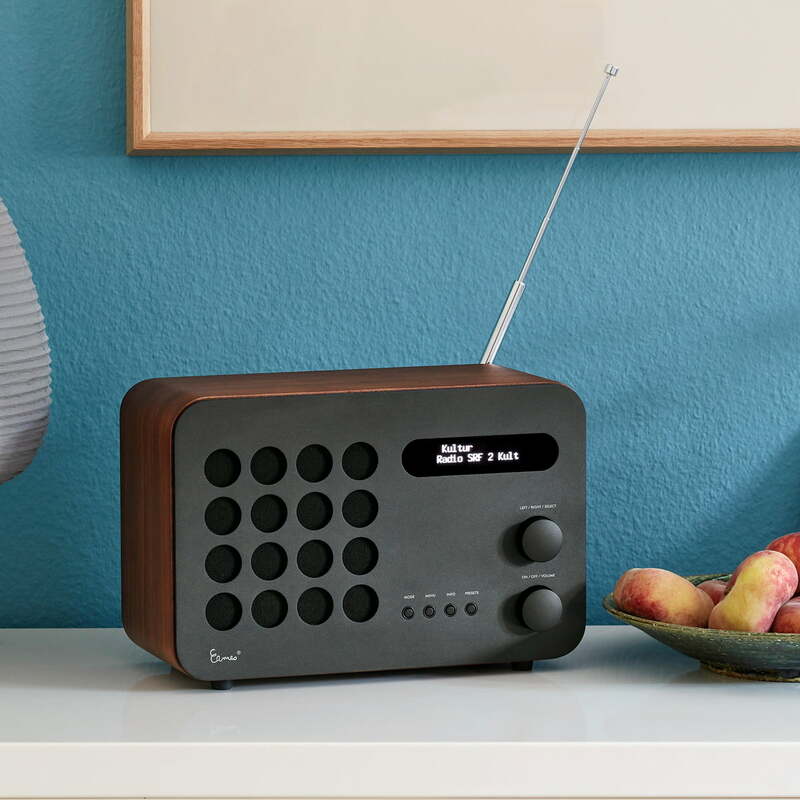 The Eames Radio by Vitra in walnut / black (Limited Edition) The radio comes from the 40's, but even today it still cuts a fine figure in the contemporary ambience. 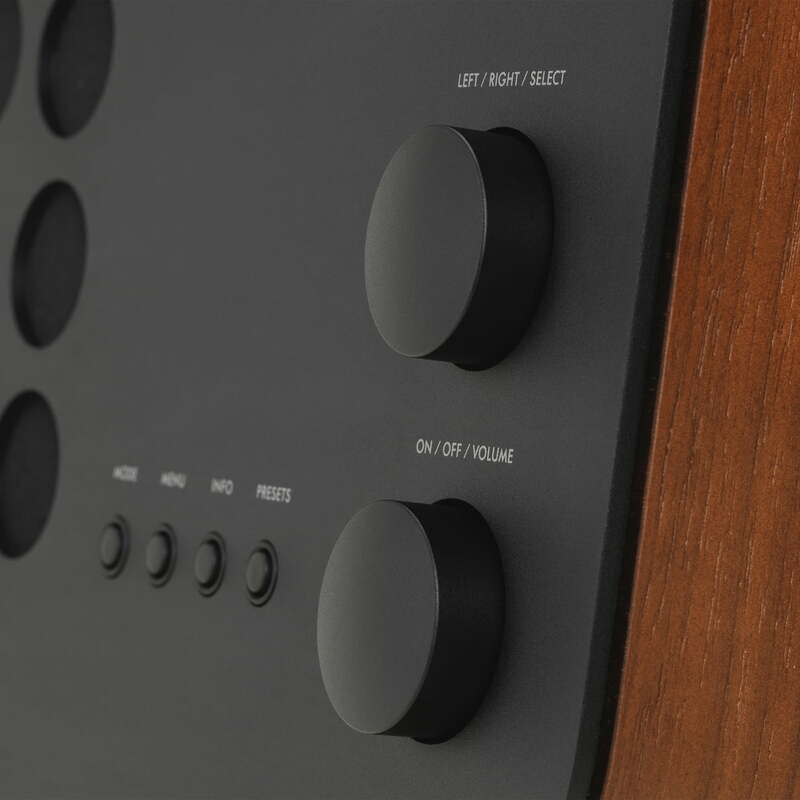 Detailed product image of the Eames Radio by Vitra in walnut / black (limited edition). In a limited edition of 999 pieces, the Eames radio is launched on the market with a fine walnut case and the latest technology from REVO to pay due tribute to the design and belief in progress of Charles and Ray Eames.